In reality violence against doctors is a law and order problem. But cleverly blame is put on doctors. Doctors can not treat mobs. That too with limited resources. Recent attack on doctors at hospital is another example of lawless and uncivilized society. Doctors have become punching bags for all the malaise and inadequacy of prevalent health system. It is really appalling to see the impunity with which these incidents are happening. Resident doctors of Sanjay Gandhi Memorial hospital in Mangolpuri Delhi are on strike for the second day. The doctors went on a flash strike on Monday after one of the doctors was attacked by a mob. They were carrying knives and wanted to kill the doctor. Government ‘s unwillingness or failure to assure doctor’s protection will have deep ramifications on future of medical profession. Role of organizations like Human right commission and other right’s bodies is also questionable. Doctor bodies have also failed to take some concrete action other than showing some concern. Role of media, celebrities, film stars in spreading the hatred against medical profession as a whole is unpardonable. Every incident of verbal, legal, physical assault is a trust breaker. It will hit trust and empathy of doctors towards patients. Patients will get their revenge for naturally occurring disease, but society will be looser in the long run. Since the authorities, who matter have chosen to remain silent on the issue, doctors will have to find some way to save themselves. Attacks and assaults on doctors appears to be one of the indicators of a lawless,uncivilized society, poor governance and health system. Doctor have become punching bags for all the malaise prevalent in the system. A failing system which is unable to provide health to people and security to doctors. The system hides behind their working children and doctors and presents them as punching bags. The impunity with which attendant easily and brutally assault doctors is really appalling, that too all over the country should be shameful to law enforcing agencies. Are we a lawless society? More problematic is the government apathy and silence of human right commission. Here comes the point that what is the role of our doctor’s organizations and parent hospital and institute. Why in each and every case of doctor’ s assault, doctor’s bodies and organization do not file a case in the court against the responsible authority for security. Non action by Doctor’s Associations, bodies and organizations, not able to take a stand for their children is most disappointing. unwillingness or failure of government to prevent such attacks on doctors will have deep ramifications on future of medical profession. Silence of authorities, human right commission is really appalling. Role of doctor associations, parent institutes have been spineless and not encouraging. Role of media, celebrities, film stars in spreading the hatred against the medical profession and creating an environment of mistrust is unpardonable, where stray incidents were portrayed as normal routine just to earn money and fame. Ultimately doctors have been left to fend for themselves individually or with friend groups. Discussion always revolves around the trust of the patients on the doctor. But in reality, situation is getting opposite gradually. Empathy, sympathy, compassion and trust of the doctor towards the patient, will definitely get a hit after these incidents. Everyday the news of assaults on doctors, court cases against doctors, negative projection of the medical profession in the media are viewed by doctor’s community anxiously. Attack on doctor at J J Hospital Mumbai is just another shameful incident today. Merely taking some token action and showing protest will not solve the problem. It does not compensate for the damage done to medical profession. Sympathy, compassion and trust of the doctors towards patients will definitely reduce. Who will be the ultimate sufferer, does not need a Einstein brain to predict. Formal and informal discussions among medical professional at various forums have taken a centre stage about the changing scenario. It gives a perception that patients are loosing faith in doctors. That perception is not incorrect. But what remains hidden is that every incidence of verbal, legal, and physical assault brings some kind of feeling of insecurity in minds of all doctors, who deal with patients. 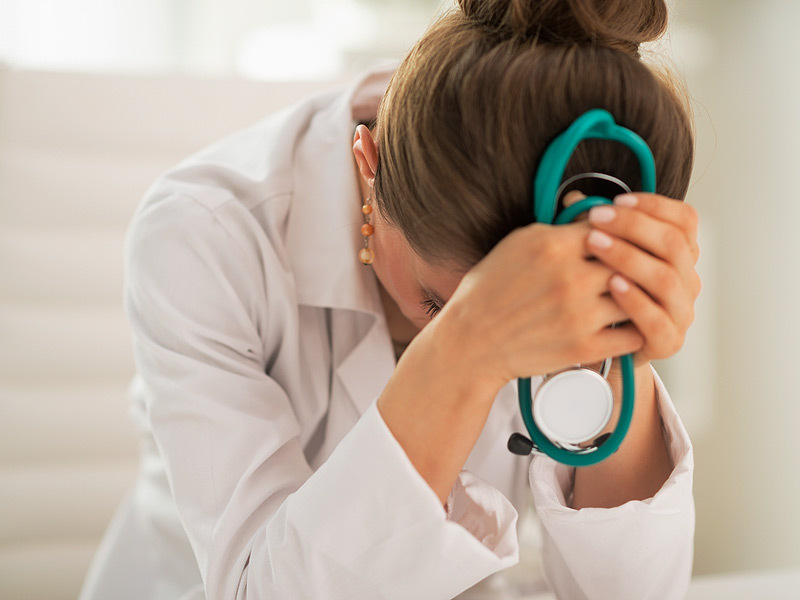 This insecurity or fear of the uncertainty tends to affect the thinking process of doctors and the way they practice medicine or deal with the patients. Many will like to be defensive in practice, or try not to treat very sick patients. Why would someone try complex surgeries with risk involved? Few will limit themselves to follow protocols. Going extra mile with risk, which not everyone will like to take. Many will become health managers or do something else than do active clinical work. Who should risk his life while doing routine work? Every incidence of verbal, legal, and physical assault is a trust breaker. It is not only erosion of patient’s trust on doctors but the vice versa is also true. As a rule of nature, as violence increases, compassion decreases. Patients might get their revenge for the naturally occurring disease, but they will lose compassion and trust of doctors in the long run. If that is the way to impart justice in this era, doctors will have to find some way to save themselves.